It may be Meghan Markle and Prince Harry’s big day, but everyone knows Prince George and Princess Charlotte are the real stars of the royal wedding. 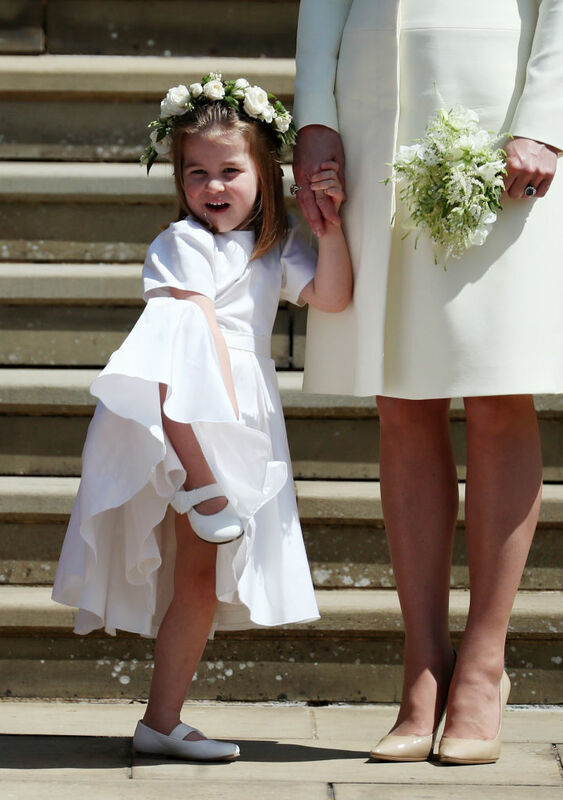 The young royals, who stole the show as page boy and bridesmaid during Pippa Middleton’s wedding last summer, were back at it again, adding a bit of their (well-documented) adorableness and sass to the wedding of the year. Good news for all of us: They had the exact same roles for Meghan and Harry’s wedding — and there are pictures to prove it. In their first public appearance since arriving at the Lindo Wing at St. Mary’s Hospital to meet their new baby brother Prince Louis in April, George and Charlotte arrived at St George’s Chapel accompanied by their mum, Kate Middleton. 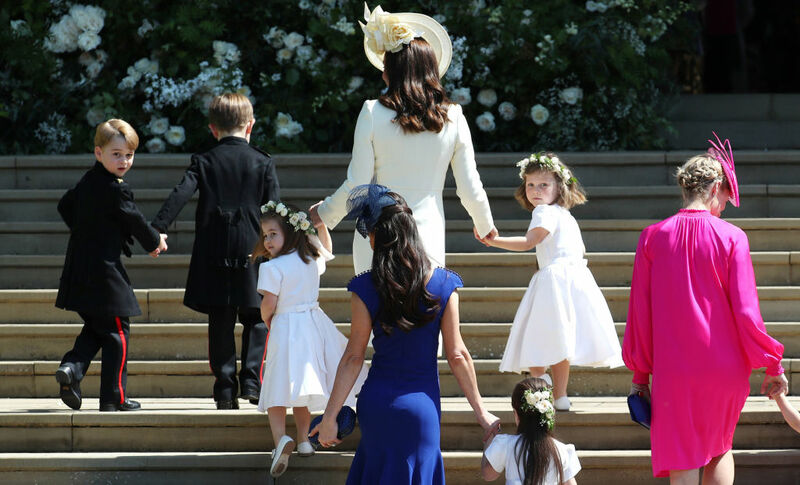 While unfortunately, baby Louis wasn’t on hand for the wedding — the newborn’s stay-at-home status was confirmed late last month — his older siblings more than made up for his absence by bringing their A-games to Harry and Meghan’s wedding. Charlotte wore white from head to toe, just like the bride, with a white dress, white Mary Janes, and a white flower crown. Meanwhile, George’s smart ensemble mirrored Harry’s military uniform. Such a handsome royal family. 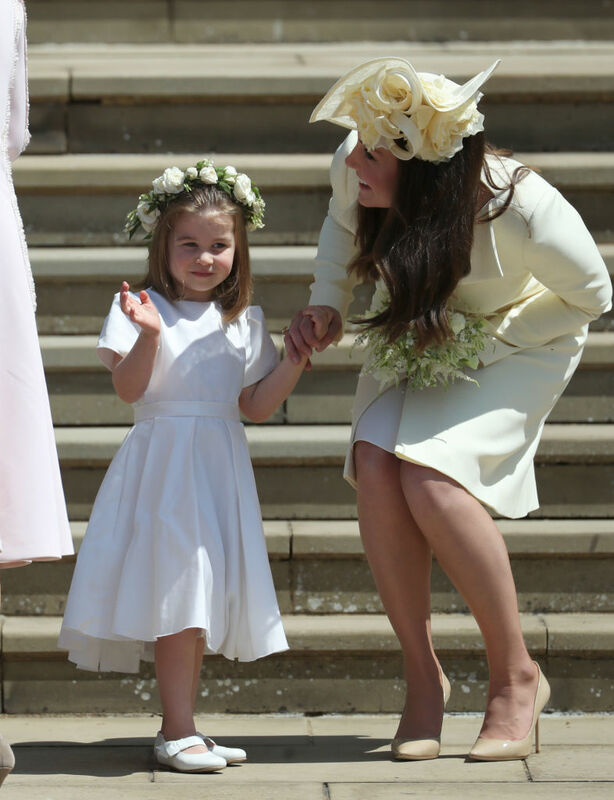 How cute is Princess Charlotte? She’s an expert at the royal wave. At times, she could barely contain her excitement. And honestly, we get it. 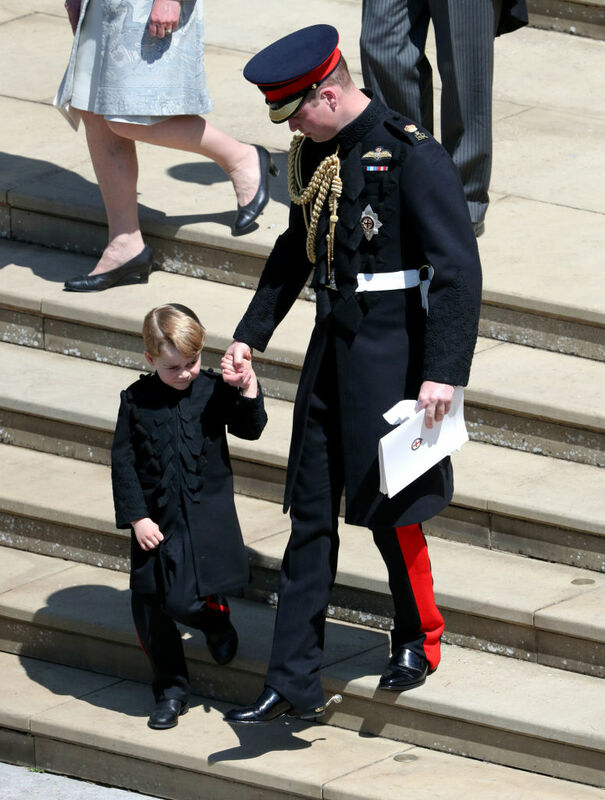 Prince George looked quite dapper while holding his dad’s hand. 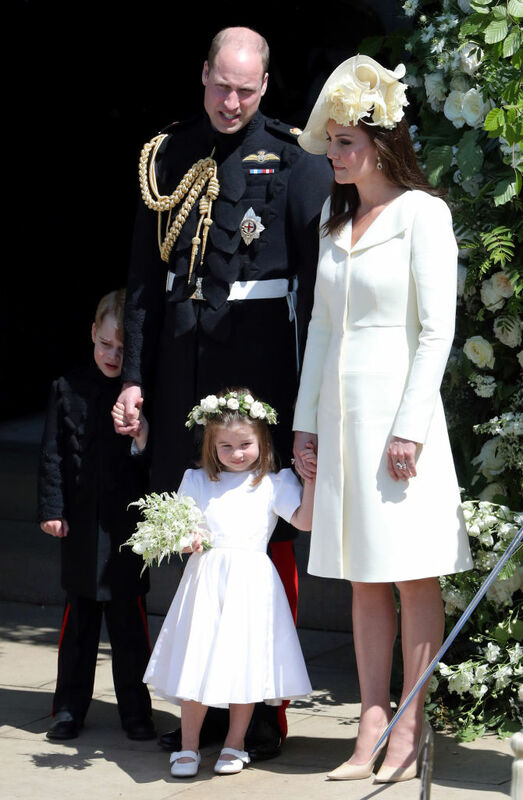 As they climbed the steps to St George’s Chapel, both George and Charlotte took the opportunity to look over their shoulders and smile for more photos. 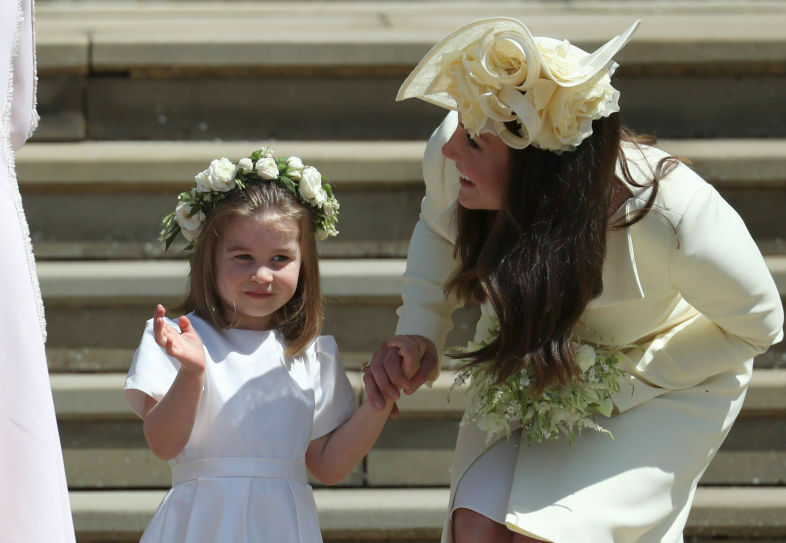 Prince George and Princess Charlotte are now two-for-two in slaying the wedding party game. Here’s hoping Princess Eugenie’s upcoming wedding makes it three (we know it will).